Während dieser Kampagne haben wir die Terrorpropaganda, Repression und Isolation des deutschen Staates gegen viele politische Gefangene unter Anwendung des § 129 b grundsätzlich, Revolutionärinnen und im Besonderen gegen Gülaferit öffentlich sichtbar gemacht. 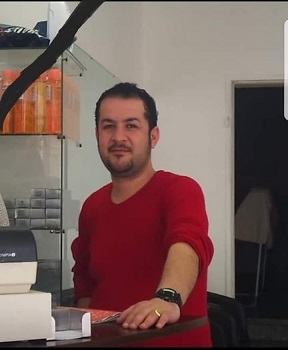 Read more about Die Gruppe „Solidarität mit Gülferit“ erklärt das Ende ihrer Kampagne, da Gülaferits Asylverfahren nun aufgenommen wird. Wir laden Euch herzlich ein zu dem 2. 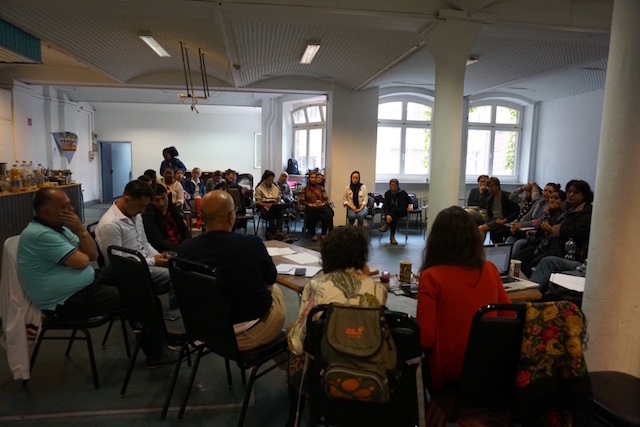 Vorbereitungstreffen und den Diskussionen mit Workshops. Wo versteckst du dich, wenn dein Haus brennt? 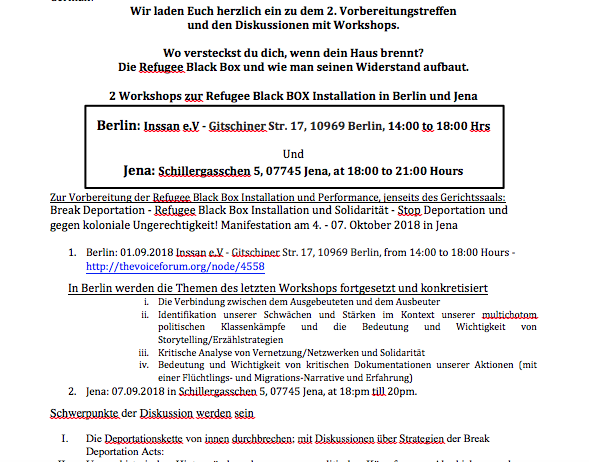 Die Refugee Black Box und wie man seinen Widerstand aufbaut. ROUND 2 of the preparatory meetings and discussions including workshops. We cordially invite you to ROUND 2 of the preparatory meetings and discussions including workshops. Where do you hide when your house is burning? 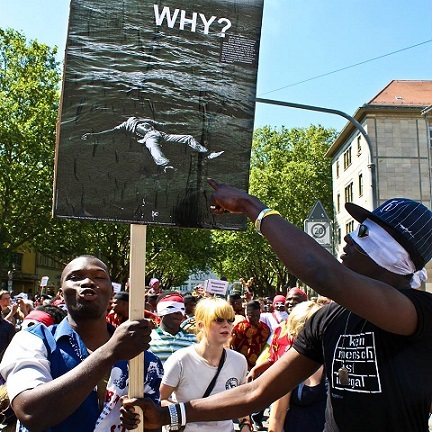 The refugee Black Box and how to build your resistance. Jena: Schillergasschen 5, 07745 Jena, at 18:00 to 21:00 Hours. Read more about ROUND 2 of the preparatory meetings and discussions including workshops. 50. Edition: Listen to/ Hört THE VOICES with Mbolo /May Zeidani Yufanyi, and Co. 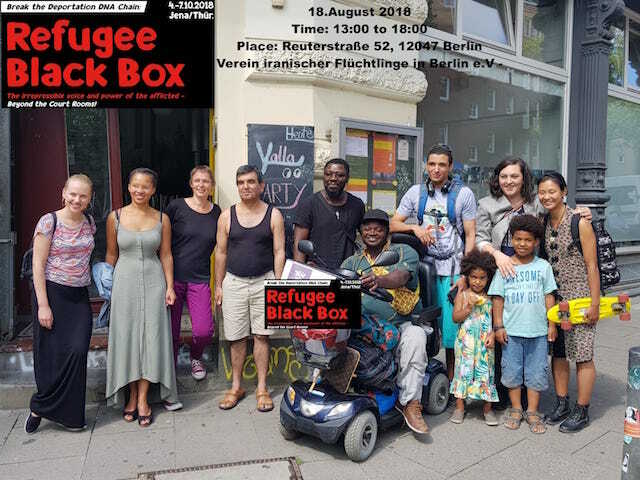 The Refugee Black Box Series presents!! 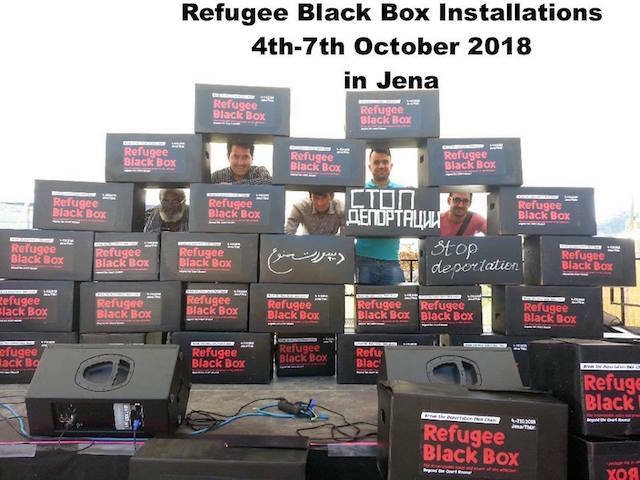 •	The Refugee Black Box Installation in Jena from the 4th-7th of October 2018 - http://thevoiceforum.org/node/4558. Read more about 50. Edition: Listen to/ Hört THE VOICES with Mbolo /May Zeidani Yufanyi, and Co.
Read more about کجا پنهان خواهی شد وقتی خانه ات آتش بگیرد؟ ـ جعبه سیاه پناهندگی و چگونگی سر و سامان دادن به اقامت. Read more about Wo versteckst du dich, wenn dein Haus brennt? 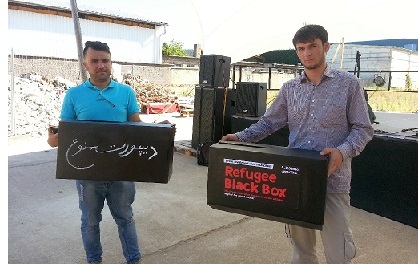 – The refugee Black Box und wie man seinen Widerstand aufbaut. 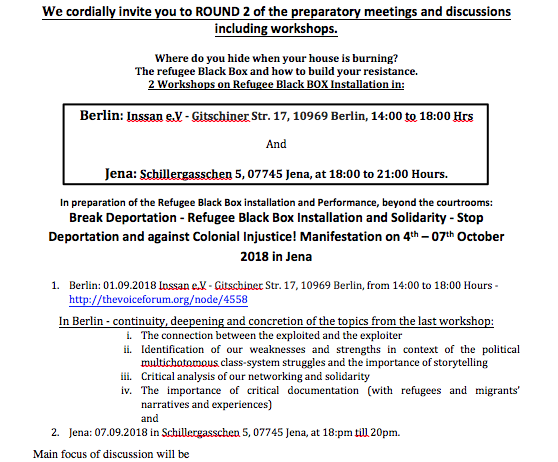 We are inviting you to join us in a workshop in Berlin. Workshop: Refugee - Migrants conference workshop - Building the refugee Black Box installation. Deportation is the last ring of the Slavery and Colonial chain. We have fought it for more than 20 years but we can still do better. Read more about Where do you hide when your house is burning? 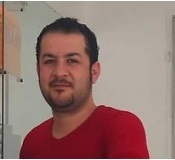 - The refugee Black Box and how to build your resistance. 49. Edition: Listen to/ Hört THE VOICES with May Zeiday Yufanyi, and Co.
Read more about 49. Edition: Listen to/ Hört THE VOICES with May Zeiday Yufanyi, and Co.
Der Treffpunkt am Montag, 23.07 in Apolda ist 18.00 Uhr am Bahnhof Apolda. Aus Erfurt fährt ein Zug 17.37 Uhr, aus Jena 17.16 Uhr. *Meetingpoint on Monday, 23.07 in Apolda at 18.00 Hours in the Train station. Train Departure from Erfurt at 17.37 Hours and from Jena at 17.16 Hours. Am Sonntag den 15. Juli findet unser General Meeting in Jena statt! Kommt vorbei, diskutiert und organisiert mit - gemeinsam gegen Abschiebung und Isolation! 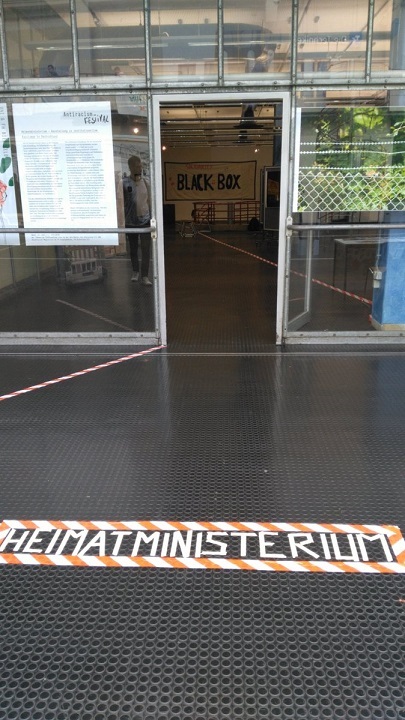 On Sunday 15. july we meet for the General Meeting in Jena. 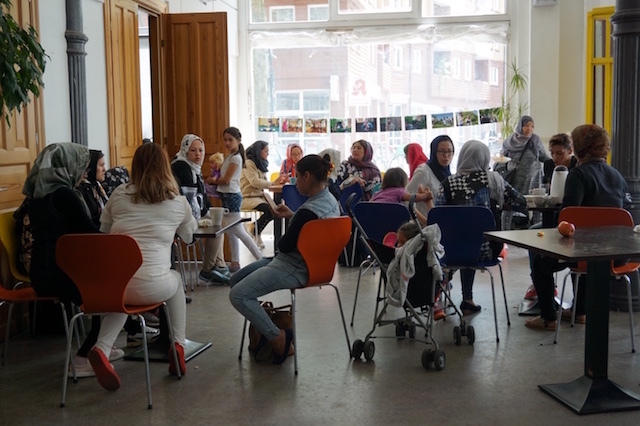 Join in, discuss and organize with us - togheter against Deportation and Isolation! 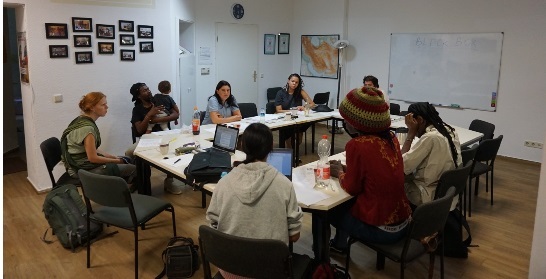 Refugee Solidarity in Dessau: Oury Jalloh was "Murdered twice in police cell no 5 and in the German court"
Oury Jalloh was murdered twice: First in the Police Cell no. 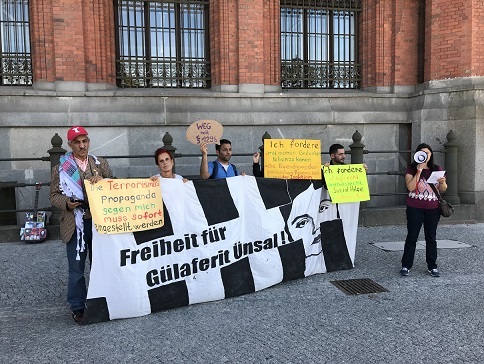 5 by racist police brutality in Dessau and Second in the court by the colonial injustice of "Banana Republic" of the Germany.